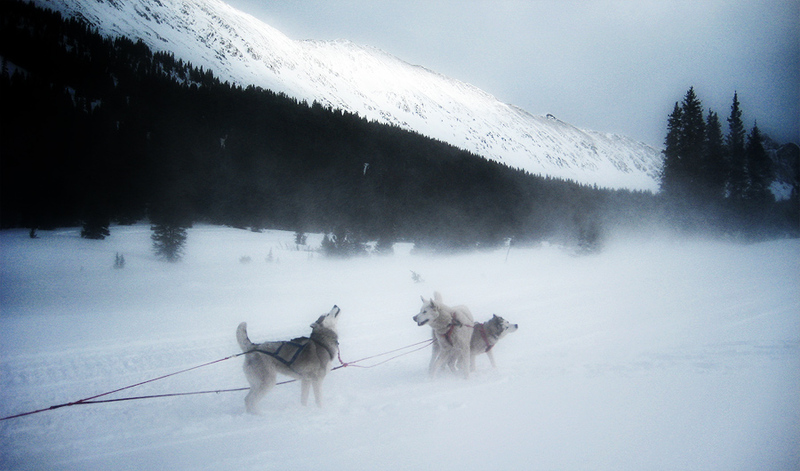 The sled dogs Loup, Lumi and Nanuk facing a blizzard at the town site of the former mining town of Hancock in Colorado. What a fantastic shot–aside from the simple beauty of the dogs I love the prevailing lines formed by the trees, hills and leash lines that all work to draw our eyes to a point ahead. fantastic shot. The dogs look so excited, and the storm looks very real. Nice. A very lively picture, partly because of the dogs, partly because of the drifting snow. Great picture. Amazing and beautifull shot ! So beautiful. I really like this. FANTASTIC! I've always wanted to see sled dogs and races in real life. This looks so perfectly..bitterly cold. Love it! Oh..I just love this scene. The dogs are all speaking their own languages. Wonderful! Awesome Landscape picture. Well done! Incredible expressive shot – bravo! Wow – that's a fabulous image! Composition, tones and depth are excellent. I especially love the muted tones and grain. My compliments!